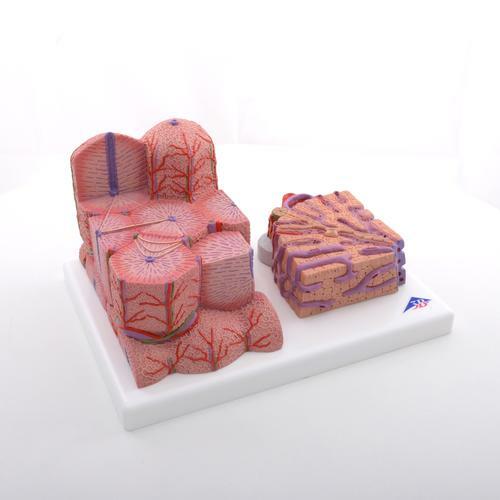 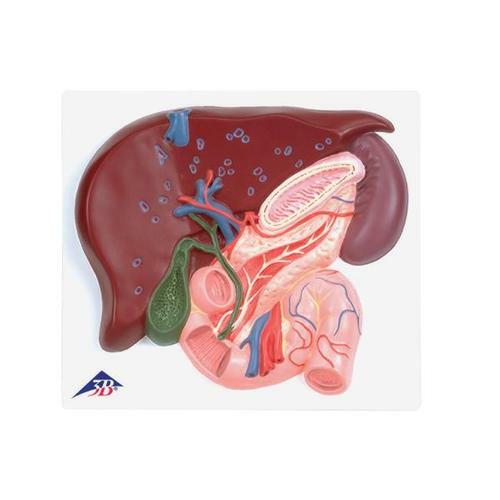 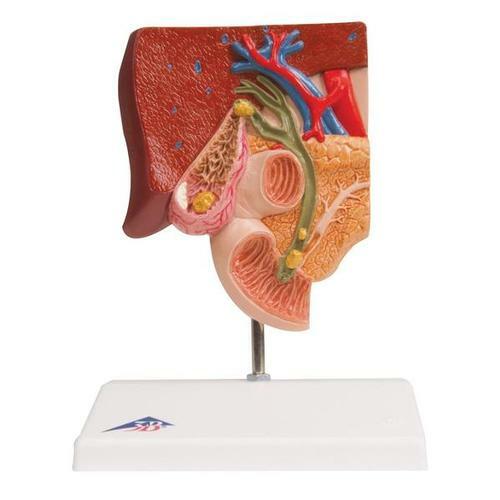 This 2-part 3B MICROanatomy™ Liver model shows a highly magnified diagrammatic view of a section of the liver. 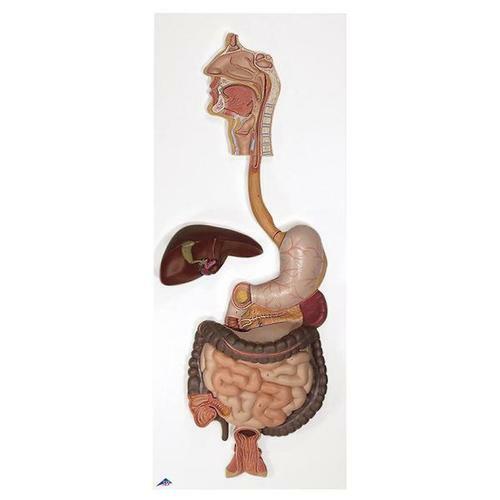 Life-size digestive system model that demonstrates the entire digestive system in graphic relief. 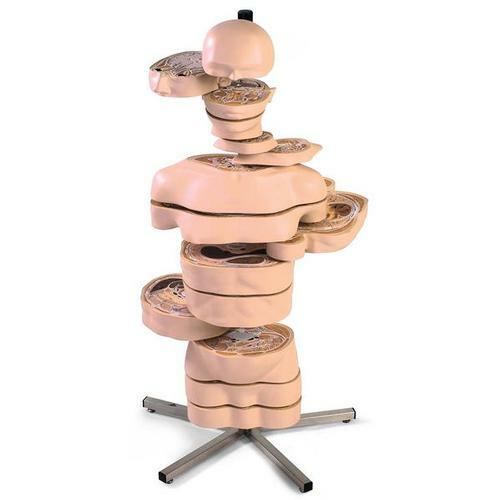 Life-size human digestive system model that demonstrates the entire digestive system in graphic relief. 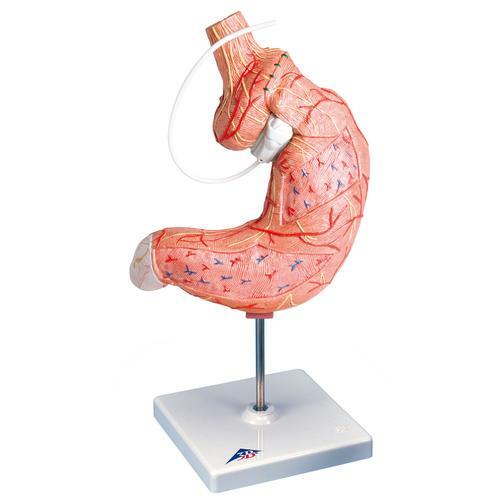 The model was developed based on our existing two-part stomach model to which was added an SAGB Quick Close® gastric band. 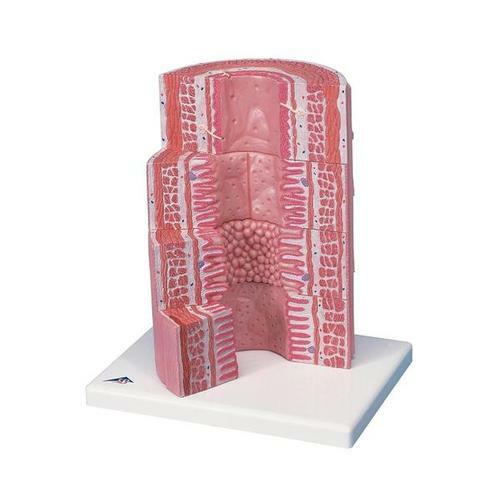 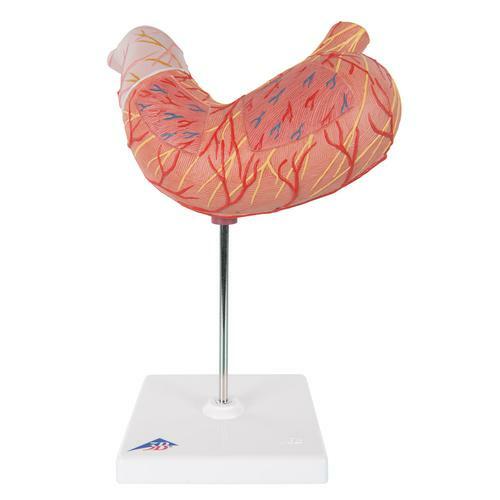 A vivid hemorrhoid model designed to educate patients and students about hemorrhoids. 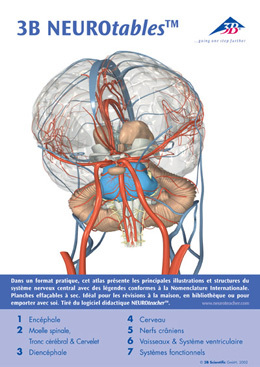 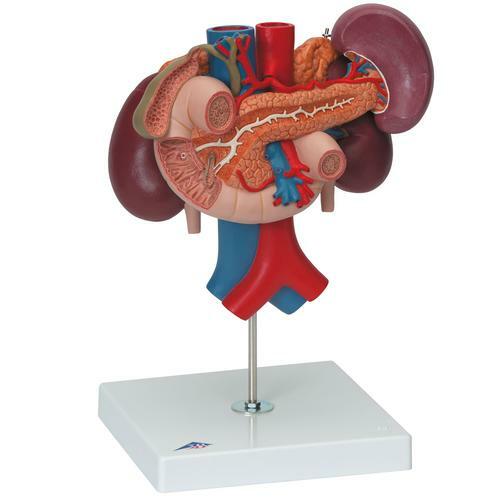 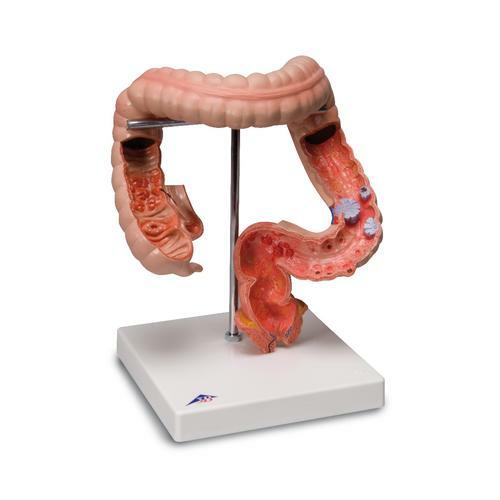 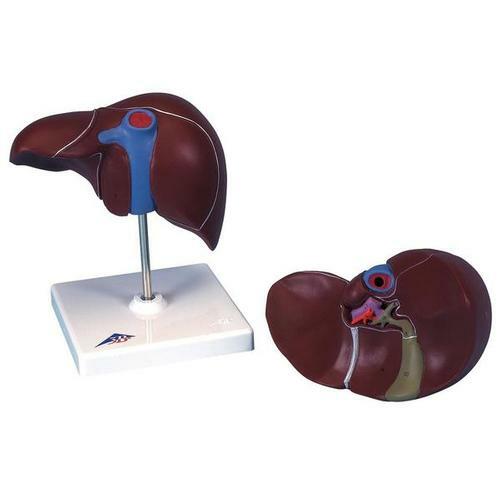 This high quality Kidney model with rear organs of the upper abdomen model combines kidney models K22/1 and K22/2 depicting the anatomy of the human urinary system and digestive system. 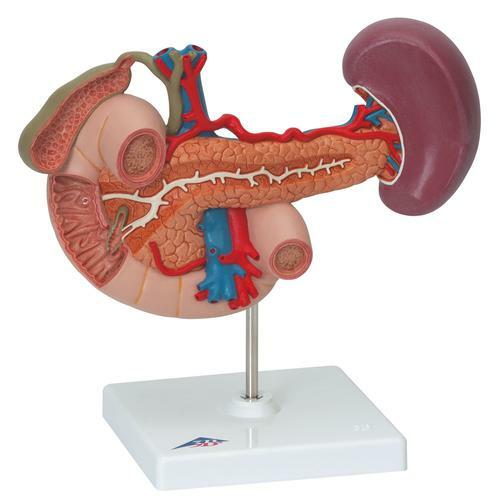 The upper abdomen organ model shows the duodenum (partially opened), gall bladder (opened) and bile ducts (opened), the pancreas (revealing large ducts), the spleen and the surrounding vessels in natural size. 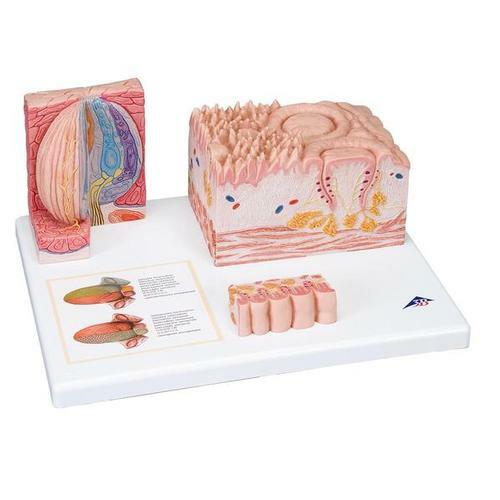 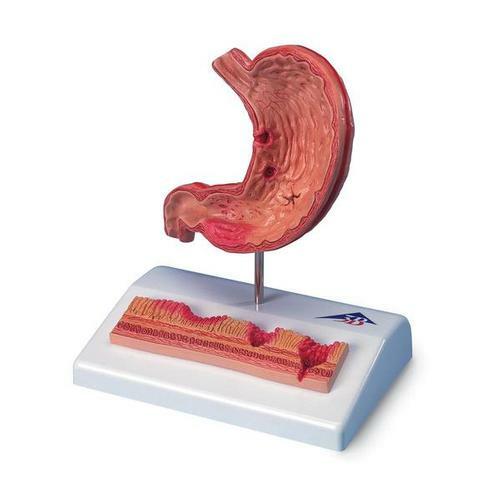 The stomach model shows the different and individual layers of the stomach wall. 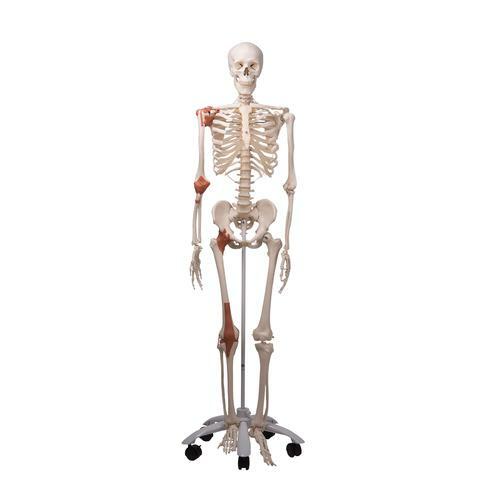 Set of four hip models, reduced size, illustrating: degenerative joint diseases (osteoarthritis and osteoporosis) and fractures; erosion to joint articular cartilage; progression of degenerative joint disease; osteophytes (bone spurs) at the articular surfaces. 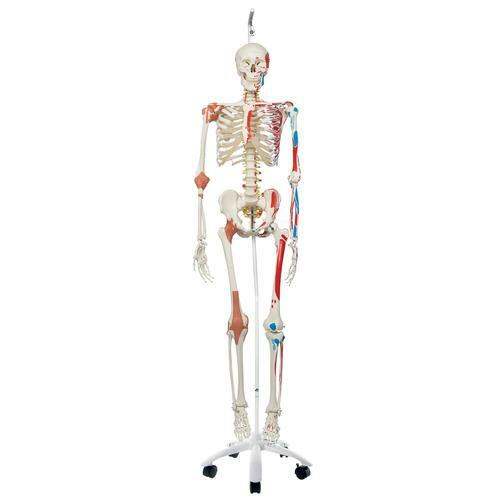 Female: This skeleton is great for detailed study of the skeletal anatomy of the female pelvis. 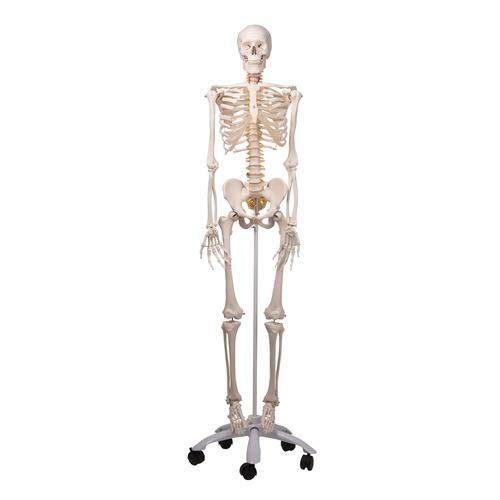 Consisting of hip bone, sacrum with coccyx and 2 lumbar vertebrae as well as movable symphysis this pelvic skeleton is top quality. 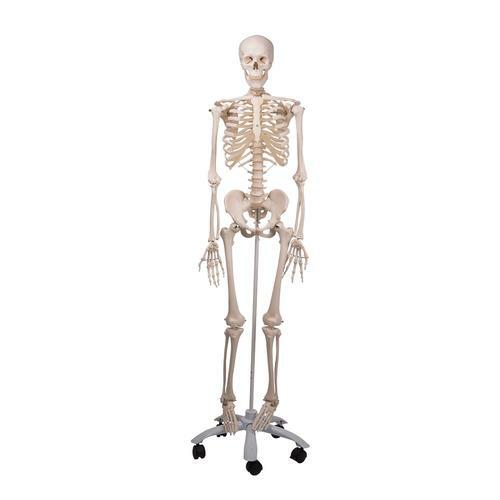 Male: This male pelvis skeleton replica consists of hip bone, sacrum with coccyx and 2 lumbar vertebrae. 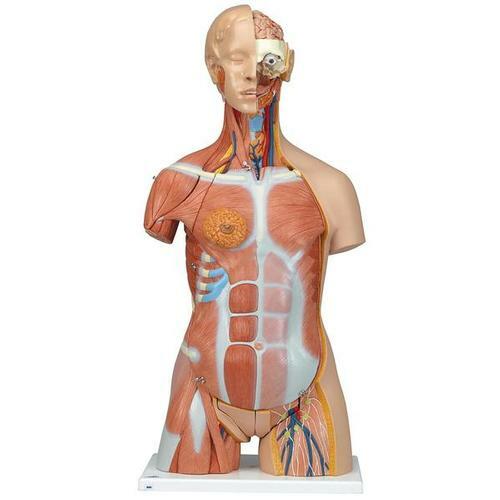 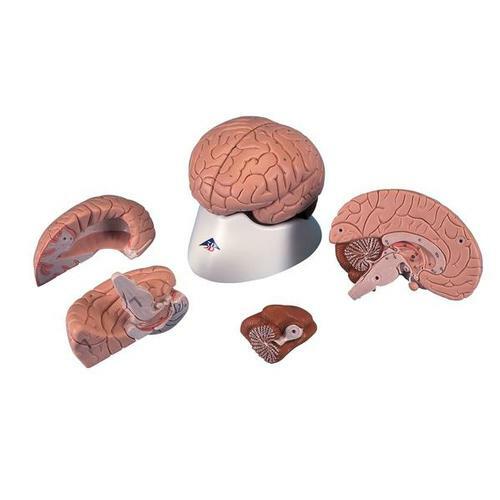 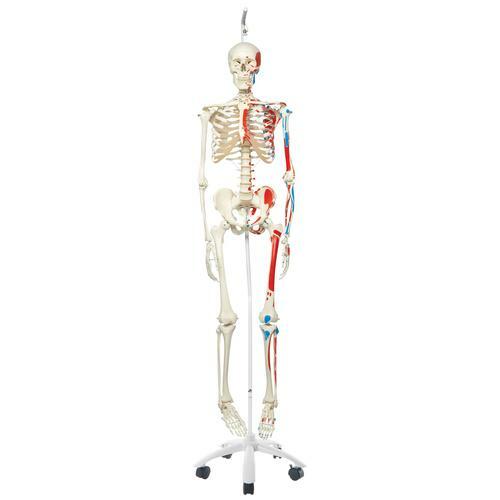 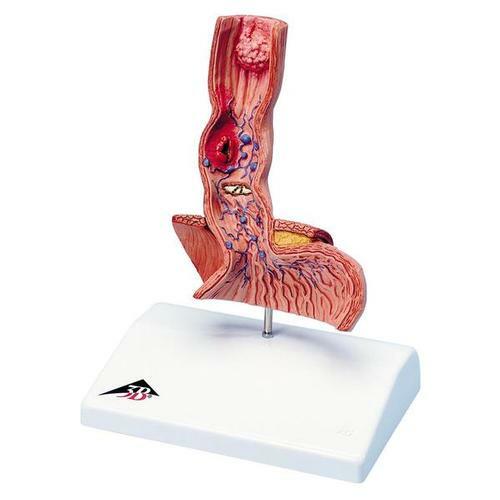 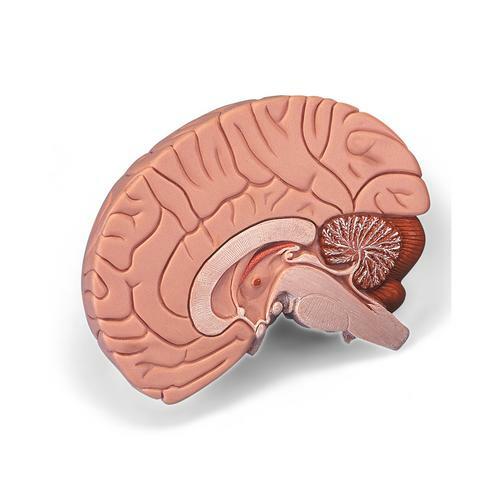 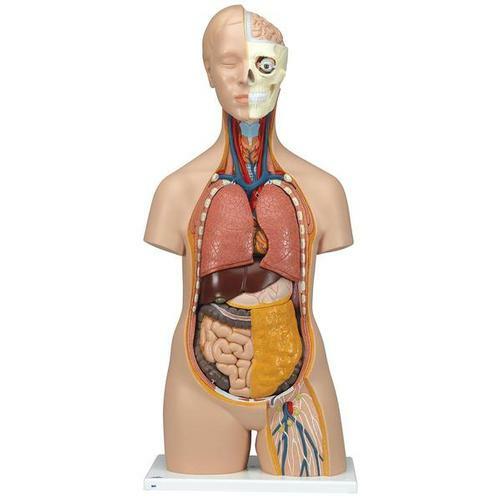 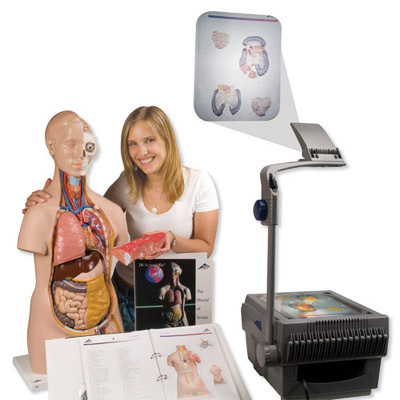 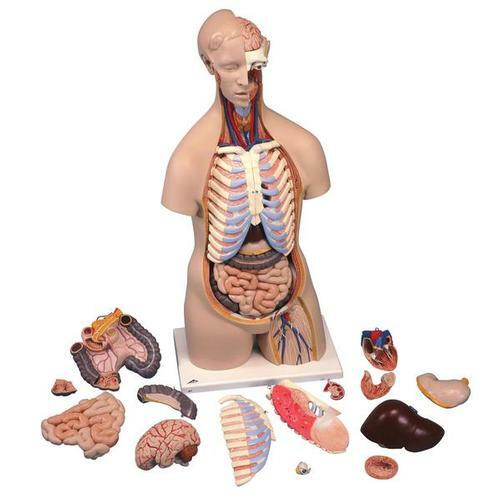 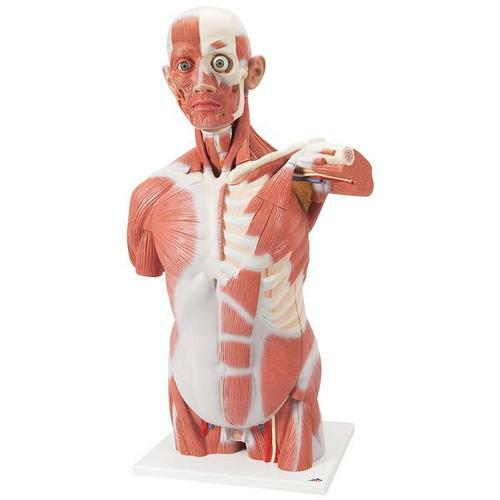 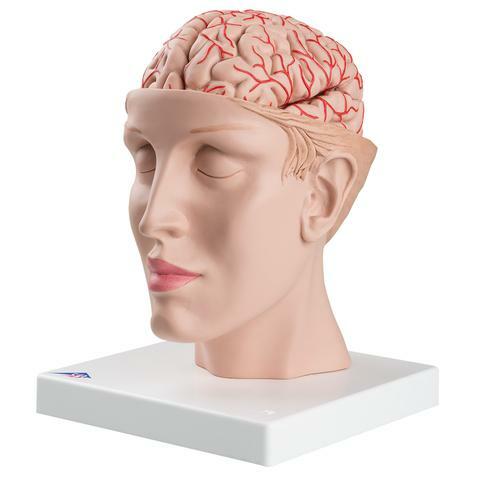 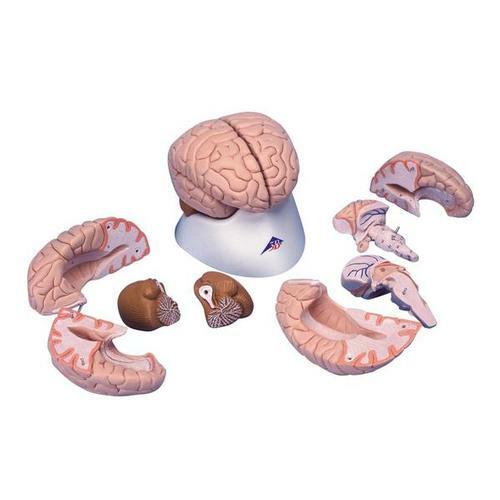 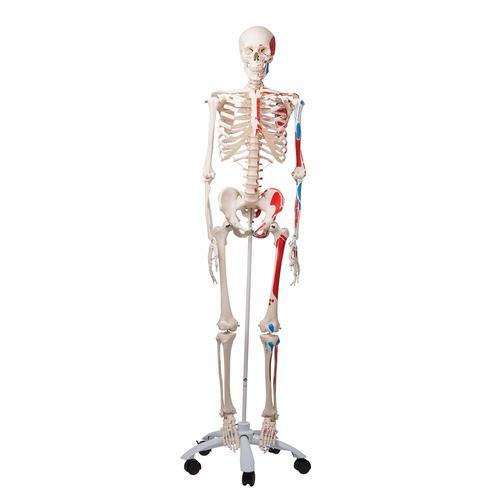 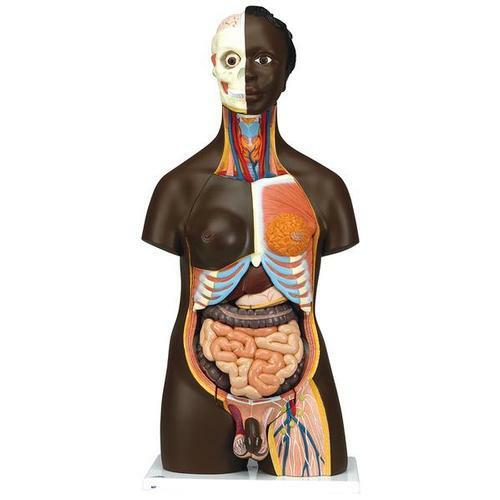 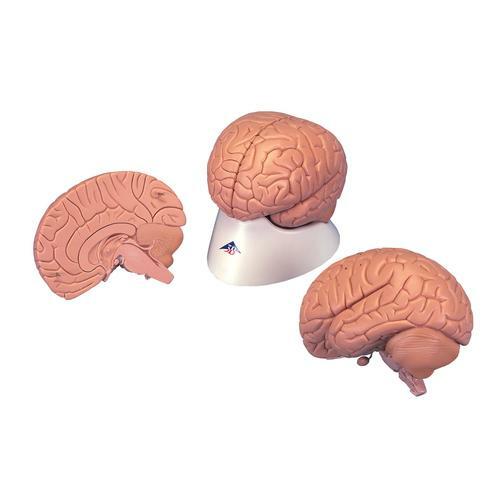 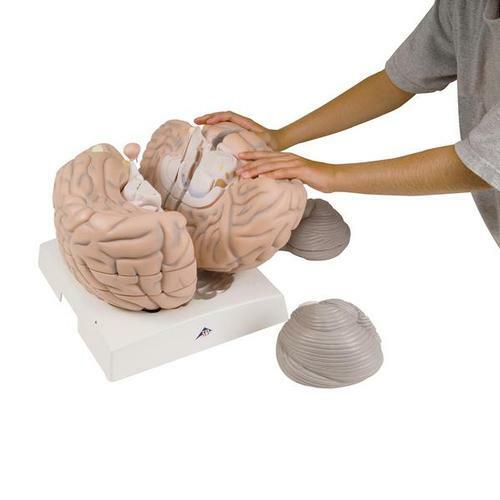 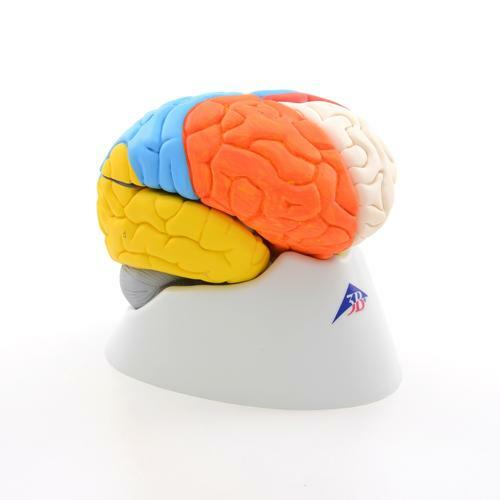 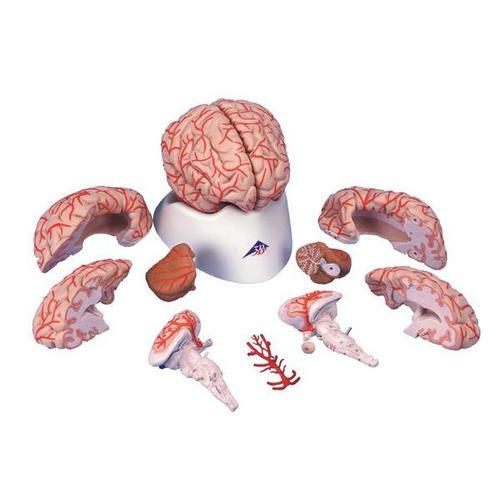 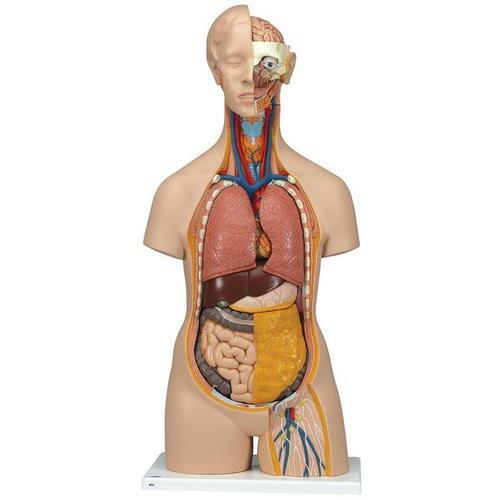 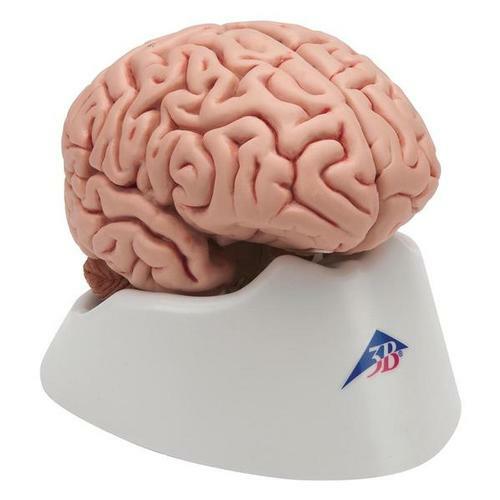 This high-quality anatomical model is a great addition to any anatomy classroom or doctor's office. 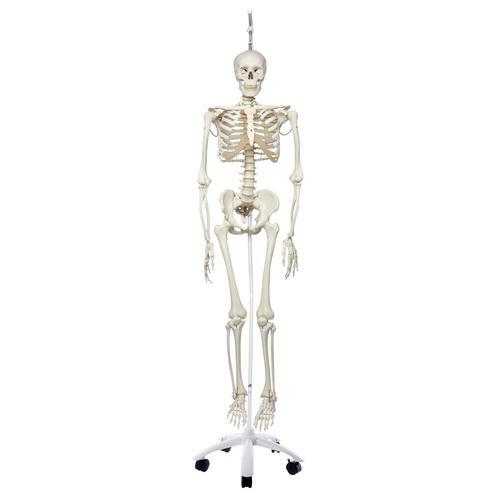 This skeleton is great for detailed anatomical study of the male pelvis. 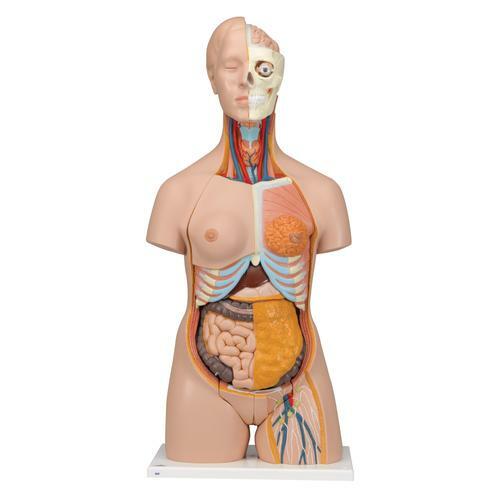 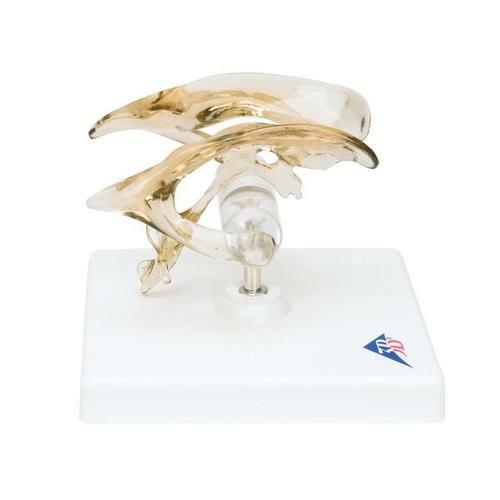 This female pelvis skeleton model is especially suitable for studying female genital organs in the context of their anatomical position in the the pelvis. 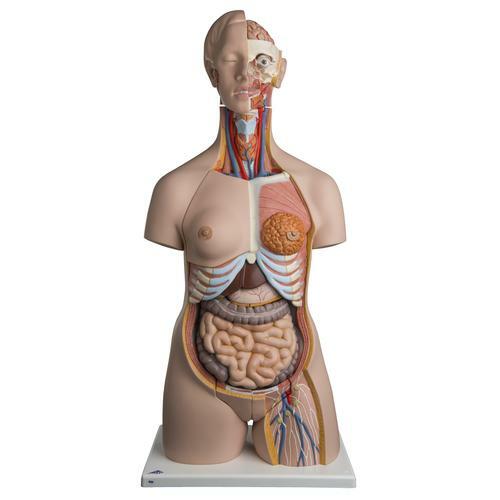 This life size four part model of a female pelvis represents detailed information about the topography of bones, ligaments, pelvic floor muscles and female pelvic organs. 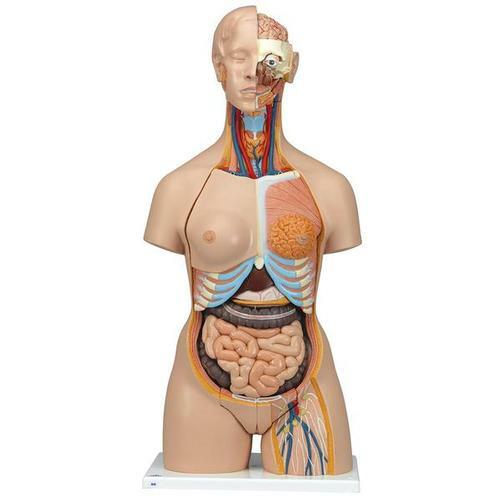 This life size three part model represents an original cast of a bony female pelvis and shows all the details of the following anatomical structures: Two hip bones, the pubic symphysis, the sacrum and the coccyx, the fifth lumbar vertebra with intervertebral disc. 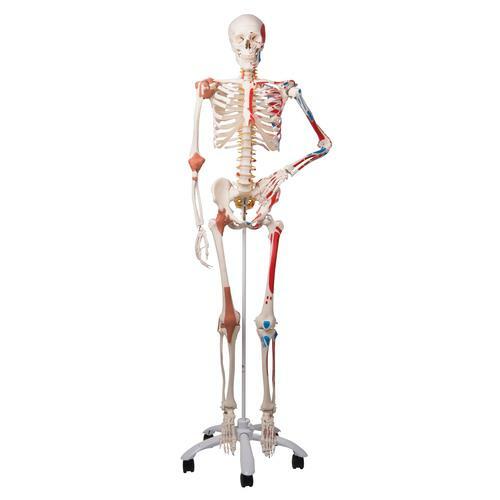 Our new “Bungee” pelvic bone models are naturally cast from a female pelvis. 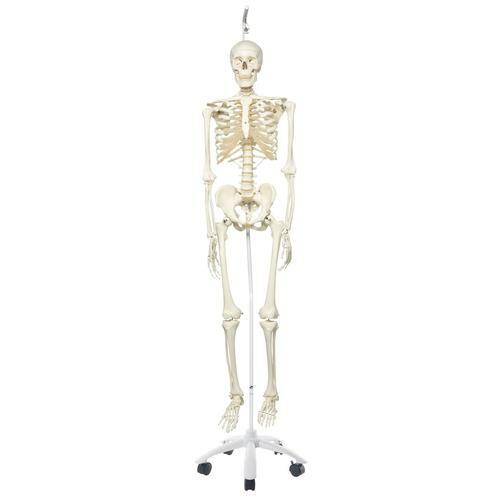 All the pelvic bones are flexibly mounted and can be easily disassembled. 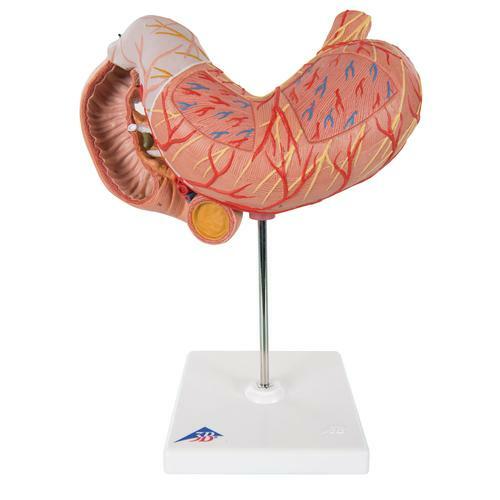 This 3-part model is a natural cast of a male, bone pelvis. 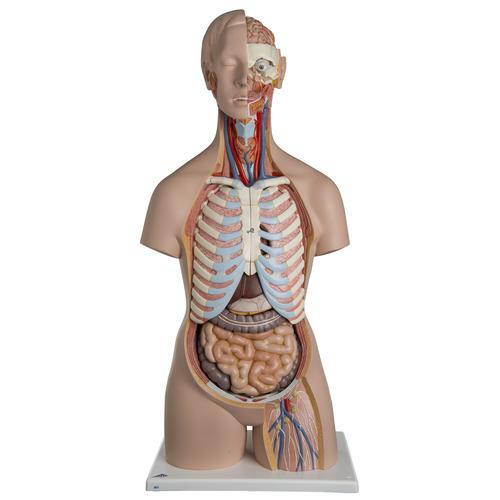 It shows all anatomical structures in detail: both hip bones, pubic symphisis, sacrum and coccyx as well as the fifth lumbar vertebra with intervertebral disc. 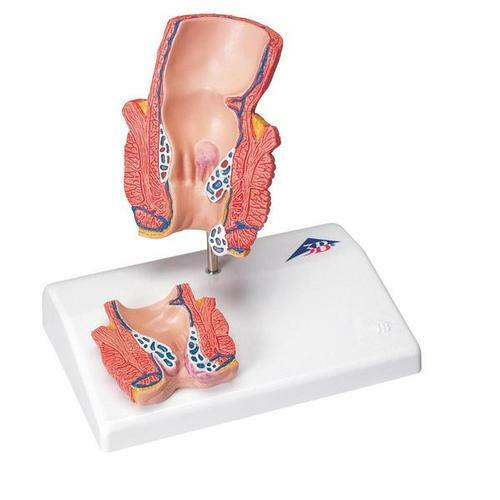 This realistic, 1/2 life-size replica of the male pelvis anatomy model is shown in median section.One half of the male genital organs with bladder is shown at the normal position in the male pelvis. 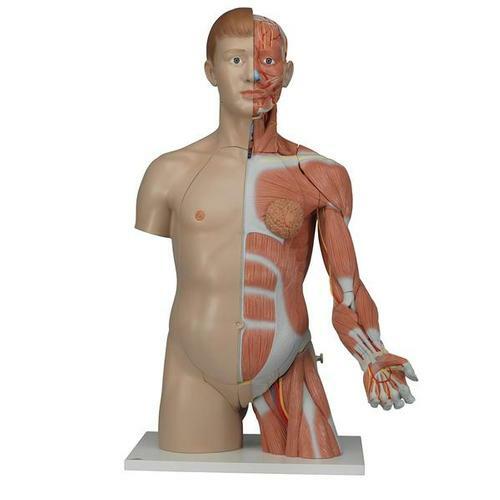 This 2-part model is a natural cast of a male, bone pelvis. 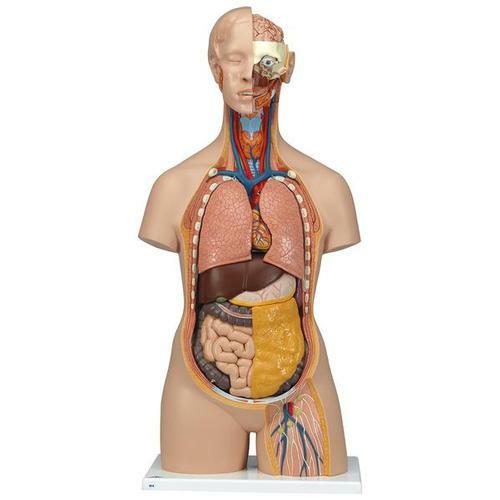 It shows all anatomical structures in detail: both hip bones, pubic symphisis, sacrum and coccyx as well as the fifth lumbar vertebra with intervertebral disc. 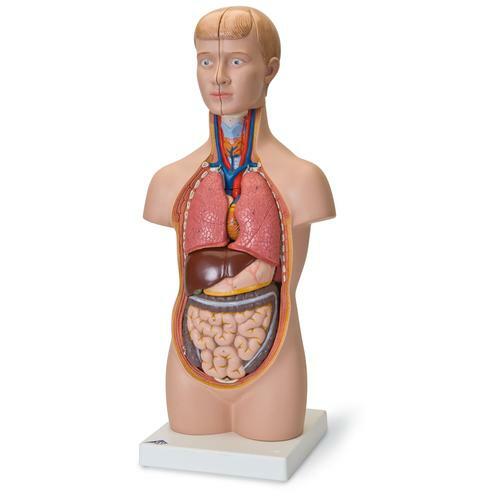 This life-size testicle model offers an extremely natural feel. 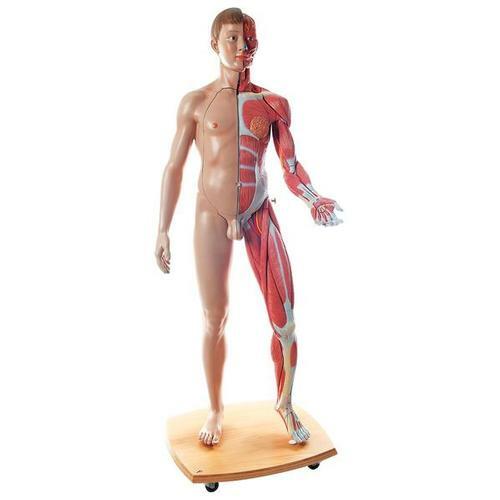 By using SKINlike™ (dermatologically tested), 3B's new high-quality silicon, learning and practicing self-examinations of the testicles becomes even more realistic.